A Corrigo chair for coccyx pain is suitable for anyone suffering with coccyx pain, or coccydynia. Pain Description: Pain in the coccyx area, making it difficult to sit for long periods of time. Aim: To remove pressure from this area. Recommended Chair Model: All of our chair models offer a coccyx cut out option. Select the coccyx cut out on memory foam option at the shopping cart. If you need a extra large cut out area, let us know as we can do a bespoke option for you. Benefit: All chair models have a coccyx cut out seat option available, which includes a cut out area for the coccyx, discretely covered by the seat fabric. This relieves pressure on this delicate area. Ideal for home or office use. Shop now by clicking on the Diffusion, Libero or Rituwell image above. WHY CHOOSE A CORRIGO CHAIR? We are passionate about posture and back health, and that’s why we’ve spent a painstaking amount of time researching and refining our chair designs to make chairs that really make a difference to back pain sufferers. We understand that different back problems require different seating solutions. Our chairs for coccyx pain are designed specifically for that condition. All of our chairs have been designed by Nichola Adams, (MSc Ergonomics, Tech CIEHF), through years of research and collaboration with physiotherapists. Corrigo chairs are sensitively designed to help resolve back pain, and to also help prevent the common back problems associated with sitting at a desk. Contact us for a FREE consultation with our ergonomics expert to get the right coccyx support option for you. For more information about a specialist chair for coccyx pain call us on 0203 475 4510 or email us at info@corrigo-design.com. WHICH CHAIRS ARE SUITABLE FOR COCCYX PAIN? Our specialist chairs all have the option for a seat with a coccyx cut out, making them suitable for anyone suffering with coccyx pain. You’ve probably already been advised by your health practitioner not to sit down for long periods. For healthy backs we endorse that view too. However, there is often a need (usually due to work) to sit at your desk for quite a few hours each day. That’s why we’ve made chairs to help you sit in the optimum position with the best support to enable you to sit comfortably for a reasonable amount of time. One of the biggest problems for those suffering from coccyx pain is to sit down without applying pressure to that area. Our specialist chairs with the coccyx cut-out seating option allow for pressure relief in this area. As with any back pain, it’s important to make sure the whole spine is supported and areas of tension don’t build up. Our chairs for coccyx pain offer optimum support and can be adjusted in a number of ways to best support you. Our Diffusion chair is available in three different sizes, and comes with a range of features for optimum support, including an extra padded back rest, inflatable lumbar support, a waterfall edge seat with memory foam, plus an optional coccyx cut out. This is our more affordable chair, but still offers maximum adjustable support. The Libero chair is a specialist back care model designed to take pressure off the lower back, the hips and the legs, and to keep the body in a healthy upright S-position (that’s the natural curve of our spine). 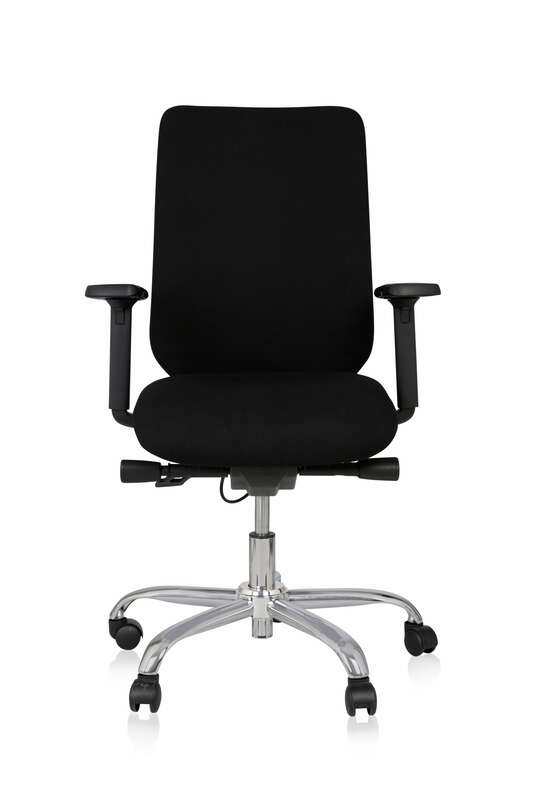 Our Libero chair offers extensive adjustability for maximum support and also has the option for a coccyx cut out. 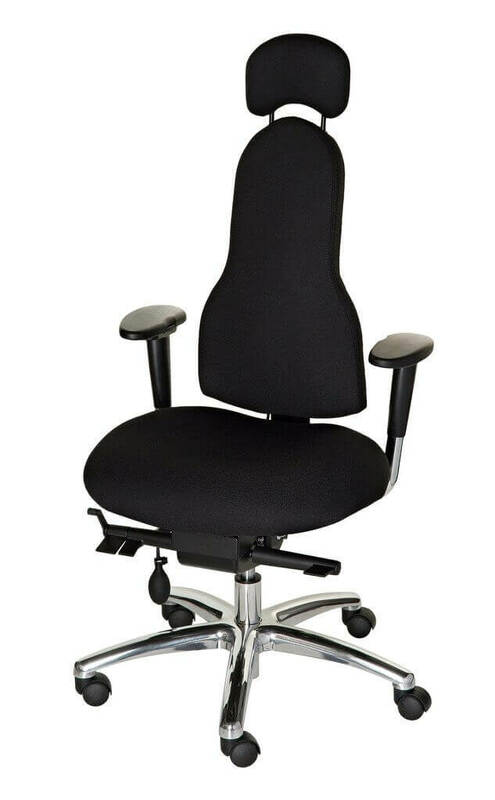 This chair promotes good posture, reduces and prevents pain, and averts tension. Get in touch now by calling us on 0203 475 4510 or fill out the form on our contacts page here. Our friendly team of experts are on hand to help you with any queries you may have. Do the coccyx pain chairs look odd with a bit cut out of the seat? No, not with a Corrigo chair for coccyx pain. We’ve made sure the cut out area is discretely covered by fabric. Do I need to keep using the seat with the coccyx cut out once my problem has resolved? We would recommend you stick with your coccyx pain chair for a while. Just because you are pain free, it doesn’t necessarily mean the problem is fully resolved. Switching to another chair may aggravate your condition and cause a relapse. It is possible to buy a replacement seat with a normal Corrigo seat pad in the future if you prefer. 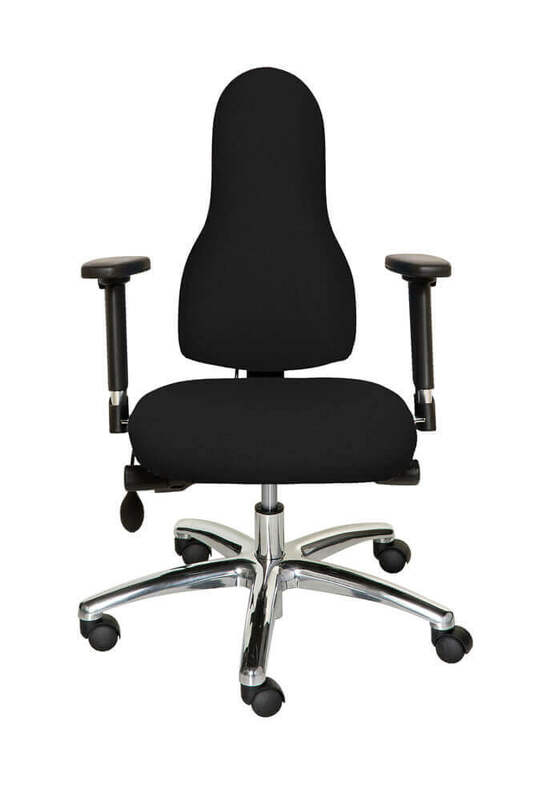 We would recommend you stick with an adjustable Corrigo chair to support your posture and prevent any further problems. How do I know which chair is right for me? We want to make sure you get the best advice and the best chair to help you manage pain and get on with your day. That’s why we have an expert team on hand to make sure you make all of the right choices when you are buying your next office chair. Why choose a Corrigo chair for coccyx pain over a portable coccyx seat pad? You may be suffering from coccyx pain for a number of reasons, but it’s always important to remember that the coccyx (or tailbone) is just one part of your spine. While portable coccyx seat pads with a cut out area will offer some relief for that specific area, they won’t give you full spinal support. With any back problem it is important to address postural issues that may be contributing to the problem. A Corrigo chair for coccyx pain not only provides relief in the specific area, it also provides optimum postural support.